If you’re looking for a new luxury sedan at an affordable price, you’ve likely considered a vehicle from the 2019 Buick lineup. Buick has become known for offering luxurious vehicles that are packed with standard features at incredible prices, and the 2019 Buick LaCrosse is no exception. 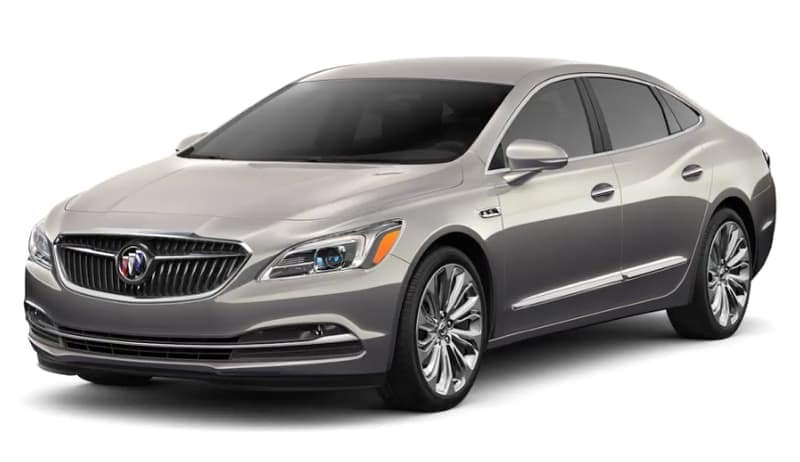 The 2019 Buick LaCrosse leads the large sedan class in nearly every automotive category, and is one of the most affordable luxury options on the market. The LaCrosse surprises most with its impressive performance and capability. When equipped with its 3.6L V6 engine, the LaCrosse produces up to 310 hp and 268 lb-ft torque. Meanwhile, its standard engine offers top-of-the-line efficiency at 25 mpg in the city and 35 mpg on the highway. The 2019 Buick LaCrosse is also available in either front-wheel drive or all-wheel drive. Between its two available engines and FWD and AWD options, Buick made it easy to customize the LaCrosse to your performance needs. However, the new Buick LaCrosse is also impressive when it comes to its standard entertainment and safety features. Drivers can easily stick to their budget, invest in the base model, and experience some of the most advanced automotive features available. Standard entertainment technology includes an 8-inch touchscreen display, USB ports, a WiFi hotspot, and even Apple CarPlay and Android Auto. Meanwhile, standard safety technology includes a rearview camera, rear parking sensors, and electronic stability control. For both entertainment and safety technology, the 2019 Buick LaCrosse also features an abundance of advanced available features. These are perfect for the driver looking to upgrade their new vehicle to include the most premium options available. The design of the Buick LaCrosse is sleek, modern, and sophisticated, featuring luxurious touches throughout the interior and across the exterior. Drivers will be pleased with the high-quality materials found throughout the cabin, including the standard leatherette upholstery on its base model. Those looking to upgrade can also experience luxurious features like heated seating and a heated steering wheel, as well as massaging front seats. Overall, the 2019 Buick LaCrosse offers every bit of luxury imaginable, as well as a surprising amount of power and standard features. If you’re looking to experience premium features and performance on a budget, the 2019 Buick LaCrosse may be the perfect vehicle for you. But first, let’s take a closer look at this impressive large sedan! The 2019 Buick LaCrosse offers incredible performance with its two available engines. Drivers who invest in the LaCrosse when equipped with its 3.6L V6 engine can enjoy up to 310 hp and 268 lb-ft torque. This engine offers the fastest acceleration and is paired with an 8-speed automatic transmission. However, the standard 2.5L 4-cylinder engine paired with its 6-speed automatic transmission still provides a high level of power. This is also the more efficient option, earning up to 25 mpg in the city and 35 mpg on the highway. Both configurations allow for response handling, despite the vehicle’s large size. When trying to decide between the two engine options, drivers prioritizing efficiency will want to choose the 2.5L 4-cylinder engine, while drivers looking for the ultimate in power will want to select the 3.6L V6 engine. Drivers and critics note that compared to other large vehicles in its class, the 2019 Buick LaCrosse handles nicely. However, it may take time to get used to its handling on roads with tight turns, but these factors can be further improved by the available adaptive suspension. It is also important to note that the 2019 Buick LaCrosse will come standard in front-wheel drive, however all-wheel drive is available. Overall, the LaCrosse provides plenty of power for your daily commutes or long weekend adventures no matter what configuration you choose. On the inside, the 2019 Buick LaCrosse is modern, sophisticated, and plush. This luxurious sedan offers leatherette appointed upholstery as a standard feature on its base model, as well as power-adjustable seating for the driver and front passenger. Throughout the cabin, the smooth design of the interior is enhanced by soft-to-the-touch materials and an easy-to-navigate setup. The 2019 Buick LaCrosse offers seating for up to five passengers, and drivers and critics note that the cabin is extremely comfortable and roomy. Overall, the LaCrosse offers a plush interior packed with convenience technology no matter what trim level you choose to invest in. When it comes to entertainment the 2019 Buick LaCrosse offers an incredible amount of standard features on even its base level. Some of these impressive standard entertainment features include an 8-inch touchscreen display, multiple USB ports, both Apple CarPlay and Android Auto, Bluetooth, and a WiFi hotspot. While there’s not much too much missing from this list, drivers can choose to upgrade to additional entertainment features like wireless charging, an HD radio, satellite radio, and navigation. Overall, the 2019 Buick LaCrosse offers best-in-class standard entertainment features, and the vehicle’s affordable price of just $29,570 only enhances this included technology. On the outside, the 2019 Buick LaCrosse is long and sleek, featuring smooth and fluid lines that provide a modern and sophisticated feel. If you’re looking to customize your new vehicle, you’ll have plenty of options with this large sedan. In terms of exterior colors, Buick offers a variety of classic and bold options. These include a few very unique shades such as Pepperdust Metallic and Carageen Metallic, and the refreshingly bright Red Quartz Tintcoat. Meanwhile, drivers can also choose from various shades of black, white, and silver. Exterior customization options for the 2019 Buick LaCrosse are also available through various trim levels of this luxury vehicle. New for 2019 is the Sport Touring trim, which offers a more sporty appearance through its enhanced fender, grille, and spoiler, as well as 19-inch aluminum wheels. A panoramic moonroof and rear-window shades are also available in the 2019 Buick LaCrosse Essence, which is the vehicle’s second trim level. Of course, the 2019 Buick LaCrosse Avenir is the most luxurious model available for this vehicle and features an incredibly enhanced exterior. Small touches like body-color features with chrome trim and 19-inch wheels with a Pearl Nickel finish, make a big difference in enhancing the luxury of this large sedan. Meanwhile, the Avenir trim also features an upgrade mesh grille and the option to upgrade even further to 20-inch aluminum wheels. Overall, drivers investing in the 2019 Buick LaCrosse will have plenty of options to customize their new vehicle. Buick makes this incredibly easy through its various trim levels, available features, and accessories. Safety is one of the automotive features that drivers prioritize the most when searching for a new vehicle, and for good reason. Whether you’re planning on transporting friends and family, or simply driving solo to work and on errands, you’ll want to ensure that everyone and anyone onboard is safe. Thankfully, the 2019 Buick LaCrosse is an impressively safe vehicle and offers several advanced safety technologies standard across its lower trim levels. In fact, the LaCrosse is so safe that it was awarded a 5-star overall rating from the National Highway Traffic Safety Administration (NHTSA). This test included Frontal Crash, Side Crash, and Rollover categories, which the 2019 Buick LaCrosse passed with flying colors. Other available safety features also include a safety alert seat, Teen Driver technology, a head-up display, and automatic emergency braking. With this abundance of standard and available safety tech, drivers can feel confident that every passenger onboard their LaCrosse is safe. If you know luxury vehicles you undoubtedly know Buick. 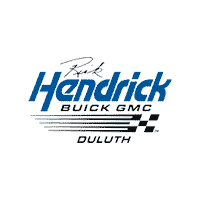 If you don't know already, Rick Hendrick Buick GMC is the dealer for you and your next automotive purchase. At Rick Hendrick Buick GMC we understand the demand for the modern driver and will do what we can to get every driver on the road in a new ride. We invite you to come over to Rick Hendrick Buick GMC in Duluth and get a look at the 2019 Buick LaCrosse for yourself. We can show you all the standard and available features it has to offer and answer any and all questions you might have. After you’ve picked one out and decided exactly how to customize it to fit your particular driving needs, head over to our finance department. Here, our finance team will get you set up with the best available finance options. We know that financing a new vehicle is tricky. Our expert team knows all the tricks of the trade and will be happy to guide you through this. If you can’t make it down right away, check out our online showroom. It is open 24 hours a day and features all of our 2019 Buick LaCrosse, as well as hundreds more autos for you to browse. We look forward to seeing you!